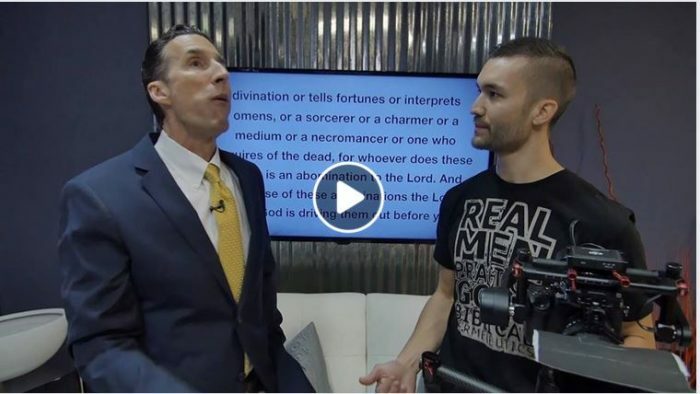 Christian TV host Todd Friel warns about fantasy stories, yet misses the line between real sin and human imagination. 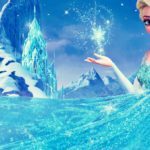 A Christian media leader is again warning about stories with fictional magic. 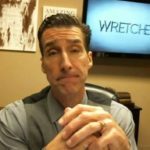 Todd Friel, host of the “Wretched” radio and TV series, made the comments in this Facebook promo video on Dec. 13. A fuller video is here. At Speculative Faith, we believe Christian fans of fantasy need to consider these issues. When Christians voice their concerns or uncertainty about fantasy, we can’t simply say “that’s legalism.” We also can’t just say “that reminds me of what my parents or that one pastor did,” and then reject it. After all, what hard truths might we miss, if we ourselves act so legalistically against unfamiliar or annoying ideas? But even if we understand these issues better, we need to know what beliefs other Christians have been taught about fantasy. After all, the Christian missionary would need to understand his non-Christian neighbors’ culture so she can better share the Gospel with them. Likewise, we need to understand our Christian neighbors’ culture–including videos like this one–so we can better share in the Gospel with them. That’s why we encourage you to watch the whole video. Then consider your own response based on Scripture, not just as a fantasy-genre fan/defender or “geek,” but as a person who wants to glorify Jesus in everything you do. In this case, we would say that Friel means well, just as many Christians do who raise concerns about fictional magic. However, Friel’s chief oversight is this: He commits a category error. He’s ignoring the very real difference between real occult practices, which do exist and which God does forbid, and the kind of pure-imagination fictional magic that does not and cannot exist in the real world. What’s the big deal? It’s Just Fiction. Well, but there’s good magic and bad magic in fiction, and you can just sort of tell the difference. However, we would disagree with the wording of both of these notions. The first is too flippant about the fact that Jesus wants every child of His to transform their thinking about everything to be like His. Fiction is never “just fiction.” In fact, this sort of statement devalues or even insults fiction. Stories are part of human creativity, which is a gift of God, and therefore becomes dangerous in sinful hands. The second is a poorly stated adaptation of our real reasoning: not that there is “good magic” and “bad magic” in fiction, but that there is real occult “magic” (divination, idolatry, manipulation) versus made-up, imaginary, reality-impossible “magic” that does not exist. And discerning readers who approach entertainment–or rather, human recreation–with intention to glorify God, according to the Bible, can sort out the differences. 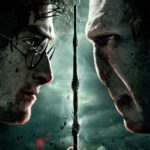 Wretched, you asked, Should we watch/read wizarding fiction? There are so many points to make here. 1. There is a difference between pretend and real, and much “wizarding fiction” is pretend. Do those engaged in the witchcraft of the Bible wave magic wands or fly on broomsticks? No, because those things aren’t real. Never have been. We as believers need to discern what is real and what is pretend, and we ought not spend great efforts to fight the pretend. As someone on another site mentioned, it’s likely that in your own apple scene, the one who “hates” apples, probably doesn’t. Was he lying or pretending? 2. Stories, even fantasies, are vehicles that can teach the truth. The stories are not the issue. There are even fantasies in Scripture. For example King Joash told King Amaziah a short fantasy about talking trees and thorn bushes getting married, recorded in both 2 Kings 14 and 2 Chronicles 25. Judges 9 records another when Jotham told a story that involved talking trees when he prophesied to the men of Shechem. Stories that encourage involvement in evil, including divination and talking with the dead and the actual practices of real people that practice witchcraft, should be treated differently than those that teach life lessons through the pretend. 3. God created our imagination, and there is nothing wrong with inventing tales and heroes and places that by their existence point to what God in Christ has made available to us. That’s what the Narnia books do. Yes, there are witches and other evils in those books, just as there is Satan and other evils in the Bible. The presence of evil does not disqualify a book from being worthwhile, valuable even. I could go on, but I think those three points more than out weigh the ones you addressed in the video. Why not frame this topic in a biblical worldview, rather than use the world’s language? Why not discuss popular culture—human stories and songs—in terms of human creativity being a gift from God? The way some pastors talk, popular culture is some alien (even if “harmless”) thing unrelated to God. But if God gives this gift (of popular culture-creation), then He, not us, defines the terms of how the gift is best used—to glorify Him, to guard against idolatry, and to make sure we get the most joy out of using the gift in the ways He has prescribed. I would even go so far as to suggest that if the Christian leader cannot allude to the biblical view of recreation, or articulate this view in his body of work somewhere, he probably ought not talk about culture or popular culture at all. You can consider more thoughts on how to respond When Pastors Criticize Popular Culture. 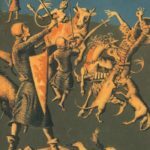 About Deuteronomy 18 witchcraft, including a ground-level exploration of the text itself and what it means, see Deuteronomy 18 Witchcraft: What It Is and Isn’t. This would be so much simpler if Christian culture was actually good at determining what is actually harmful. There are so many people who make thoughtcrimes out of reading stuff that contains ideas from outside the Christian bubble, when knowing about a thing does in no way equal belief in that thing. Ignorance is not purity, dudes, and purity is not even a virtue. Kindness is a virtue, generosity is a virtue. Purity is not a virtue. Exactly! Thank you! Sheesh. I can’t deal with that anymore. It seriously makes me want to bust heads. Legalism kills the imagination and forces young people to live in fear. Yes, I’ve been there, I escaped, and I’m taking as many people with me as possible. Purity is too a virtue. But personal purity is defined by someone’s inner nature, not by outward influences. For the Christian, purity comes through conscious association with Jesus, whom we believe spiritually resurrects and makes a person pure (like He is pure) from the inside out. Even in the case that we accept purity as a virtue, I still submit that ignorance is not purity. But my reasoning behind purity not being a virtue is that it doesn’t really require DOING something. You have to do stuff to be considered kind or generous, but purity almost requires the opposite, NOT doing a whole laundry list of things and generally promoting a state of passivity. There’s a scene in the book “The King of Attolia”, where one man criticizes another man’s treatment of the wooden swords used for duels. “In my country,” the man says, “we are taught to treat the practice swords just like real swords.” The other man replies, “In my country, we are taught to know what we have in our hands.” I’d say the same applies to fictional magic. It can be as dangerous as the kind of stuff warned about in Deuteronomy 18, but it doesn’t have to be, but you need to know the difference between the two, and which one you have in your hands.